Sometimes a setting requires a fan so striking and unusual that it sets the tone for the entire decor. 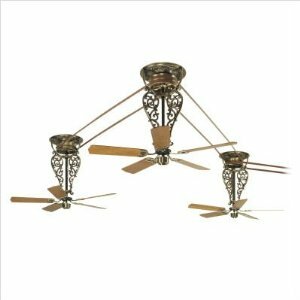 Traditional fans are designed to fit in and let other decorative items be the focal point. A Fanimation Ceiling Fan, however, captures your attention the instant you enter a room, and establishes an overpowering decorative presence. Fanimation fans are not just functional, they are art forums, moving sculptures, and your setting becomes the gallery. Fanimation was originally part of the Casablanca Fan Company as their "specialty fan dept" until they branched off in 1984. Since then Fanimation has specialized in unique and creative ceiling fan designs. 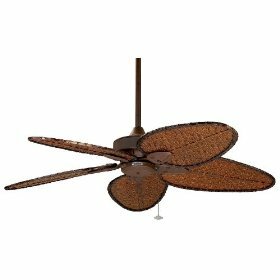 Many of the styles that are popular currently such as palm-leaf blades and natural designs were inspired by, if not copied directly from, Fanimation models that have been around for years. Fanimation Ceiling Fan designs can be classified into three categories: those inspired by nature, those inspired by fans throughout history, and those inspired by perceptions of the future. The natural fans include models with hand-caved wood blades and housings designed to resemble a log cabin, models with palm leaf blades, fans constructed of bamboo, canvas, oars, stained glass, almost every imaginable material. 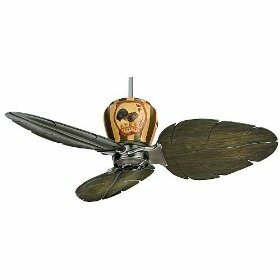 The historical fans include replicas of early belt-drive fan systems, ornate and art deco designs, ceiling fans modeled after antique desk fans, and incorporation's of their trademark palm leaf design into antique fan designs. One remarkable example is a fan with vertically moving palm leaves designed to simulate an early design of fan from 1500s in which canvas paddles were pulled by servants. 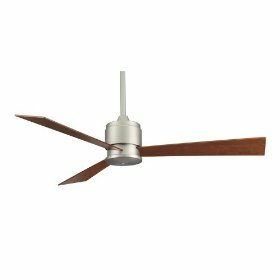 Fanimation's modern designs push the envelope of what constitutes a ceiling fan, and include asymmetrical models with only one blade, galvanized steel with halogen spotlights, even designs where the blades appear to be floating in midair. 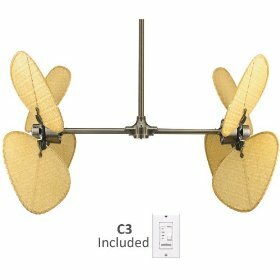 Many Fanimation Ceiling Fans use an 18 pole split-capacitor motor modeled after the Emerson K55. This is a very good motor and puts Fanimation fans in league with Emerson and Casablanca. These fans offer a lifetime warranty. Other models offer 188x25mm motors and a 35 year warranty. Certain parts are except from warranties such as blades, however these are quality made fans and should compare to and often exceed any similar models. Fanimation fans are quality, but the most important point is that their styles are so unique that there is nothing else that compares. Take some time to browse Fanimation's catalog, if you have an appropriate setting you will be excited. No other fans come close when it comes to innovation.